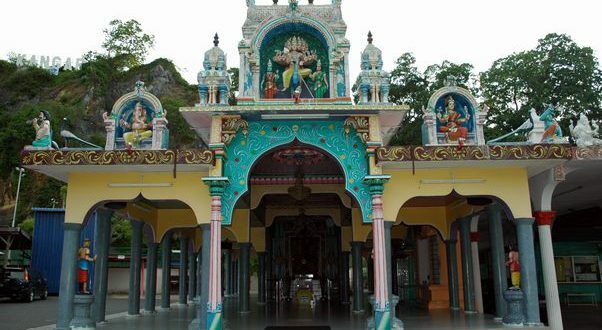 The divine creation of Lord Subrahmanya, also known as Skanda (or Kanda, in Tamil), Karthikeya or Murugan, to alleviate the sufferings of the Devas is believed to have occurred on Vaikasi Visakam. 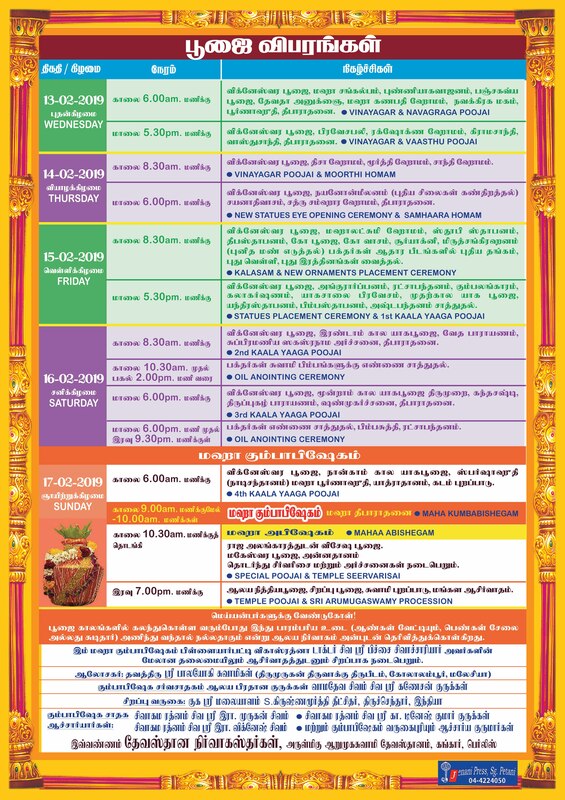 Every year, Vaikasi Visakam is observed as the birthday of Lord Subrahmanya, during the Tamil month of Vaikasi (Mid May ? June). 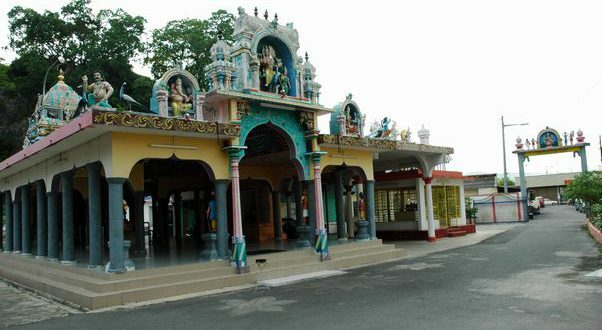 (Visakam is one of the 27 Nakshatras). Lord Muruga has got six faces. He casts his sight in six directions -- east, west, north, south, sky and earth. The five faces of Lord Siva along with the Face of Goddess Uma Devi became the six faces. 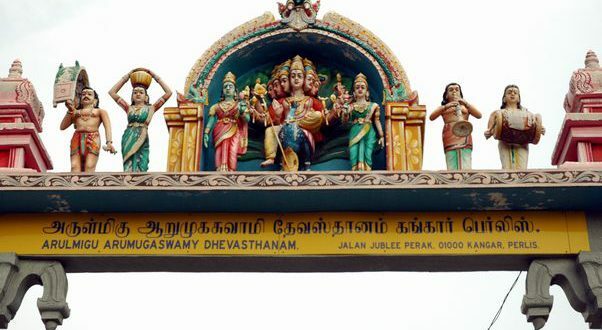 Arumugam (Six faces) denotes Panchaatcharam, the five letters of Pranavam. The sixth face that can be visualized only by the wise men is 'Atho mugam'. The five senses lead to the sixth sense which is represented by 'Atho mugam'. Goddess Uma Devi blesses people with the comforts of this world. Lord Siva blesses people with the comforts of the other world. But Lord Arumuga blesses people with the comforts of both the worlds. 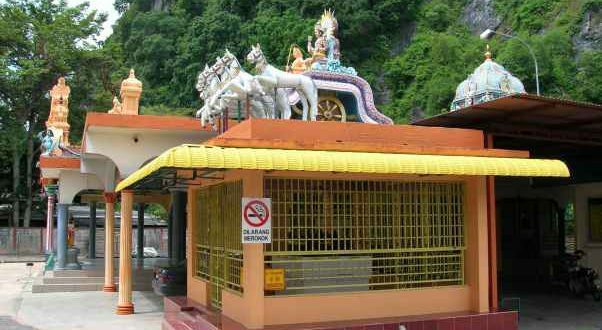 Lord Muruga, the God of Nature, directs Nature, thereby safeguarding all the living creatures in it. Let us all worship Lord Muruga, the God of Nature, the beauty incarnate and be blessed with everlasting youthfulness, wisdom and divinity by Him! 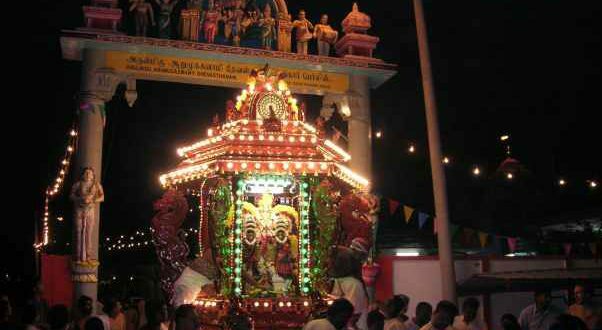 The festival Vaikasi Visaka is observed on the day when the asterism Visaka (Libra) rules in the month of Vaikasai, also called Vaisakha, corresponding to the English months of May-June. It is a full moon day. 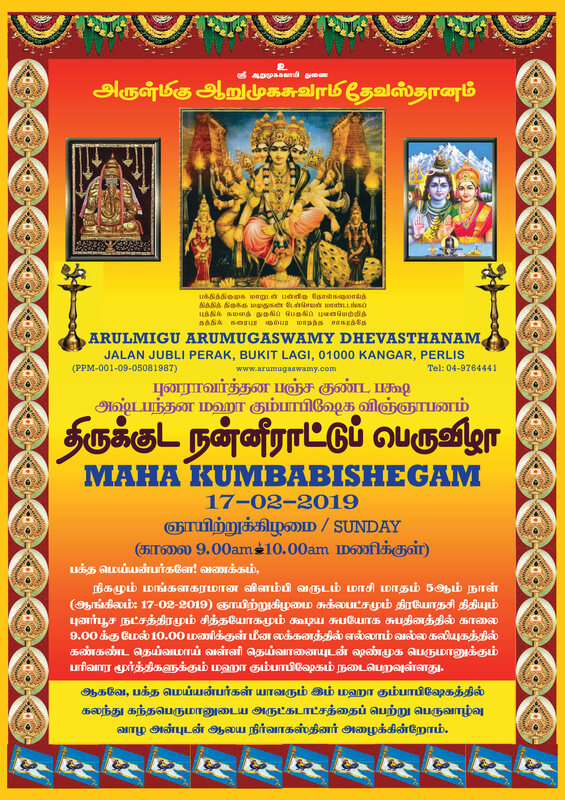 Visagam Natchathiram is Lord Murugan's Natchathiram. The day is also said to be one on which Lord Subrahmanya was incarnated in this world, making it doubly important and meritorious. "Exactly 12 years ago the temple website was launched. Today, on 12 June 2015 after exactly 12 years, we have revamped the website with a new look and more details. Thank you for staying with us all this while"